Hi! Somehow February almost slipped by without me posting about this month’s garment for Project Sew It! The theme this month was blouses. (I posted more about Project Sew It here if you are interested in joining in.) I immediately thought about the Biscayne Blouse from Hey June Patterns. I wanted to make it last Summer but never got to it. I bumped it up to the top of my sewing queue even though I probably won’t be able to wear it without layers for a few more months. I was a little bit confused about what size to make since this blouse is cut pretty straight and has a lot of ease through the bust. I am always so happy when pattern designers include finished measurements in their patterns. I usually make a size M graded out to between a L and XL in Hey June Patterns. The finished measurements for the M looked a lot larger than what I prefer so I went down to a size S graded to between the L and XL. The fit I got was exactly what I was hoping it would be. My fabric is a cotton lawn that I have been hoarding for a while and while it is very lightweight it doesn’t have the drape of a rayon fabric. I knew that excess ease at the bust would probably pouf out and make me look like a block. I love that this is just loose enough through the bust and curves out to give me plenty of room through the hips. This was my first time constructing a hidden placket. The instructions were very detailed and easy to follow. I did have to do my placket twice due to some unfortunate cutting. I didn’t have any plans to try to pattern match the placket so I cut my piece randomly on the fabric. Sadly, my random cutting was just close enough to being matched but far enough away that I had a weird repeat of the pattern too close together. I just knew that it would bother me to the point of never wearing the shirt if I didn’t try to fix it. Knowing how the placket went together made it easier to get a better match the second time around. There are supposed to be some light gathers on the front and back of the blouse where the collar meets the bodice. I am not sure if I did something wrong but I didn’t end up with any gathering in the front, just on the back of the neck. I would have liked that extra detail so I will try to figure out where I went wrong before I make another one of these. I am so pleased with how this top turned out. It’s a great style that can be worn casually or would look great tucked into a skirt. It’s thrilling to get this fabric out from the box under my bed and into my closet. I know I will be wearing this a lot over the Summer and I look forward to making the pattern again. The March theme for Project Sew It is bottoms. I am going to try to make my first pair of Chi Town Chinos, which is equal parts thrilling and scary. 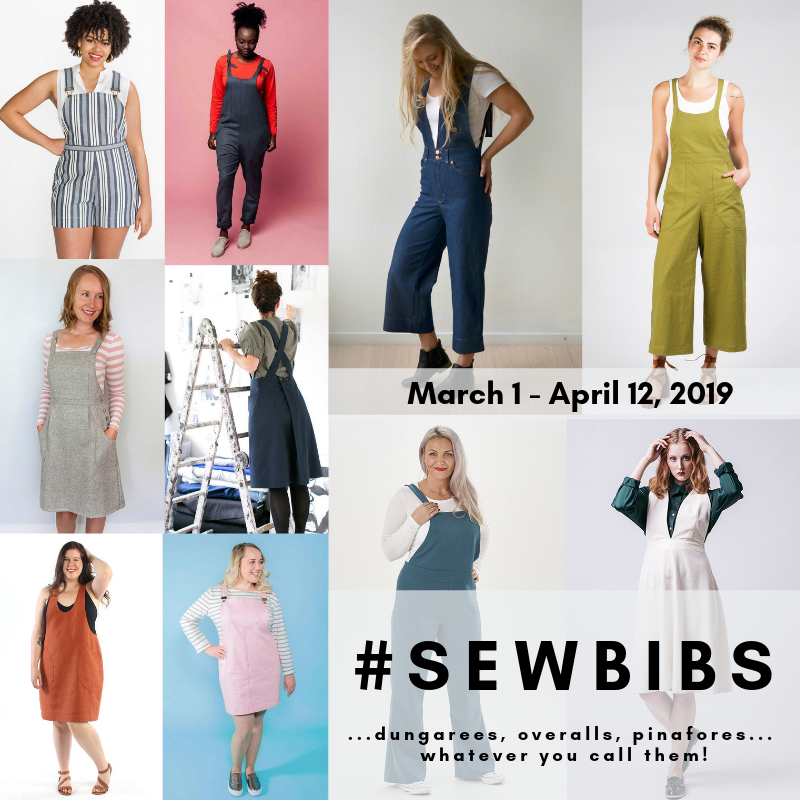 What are you planning to sew in March? Thanks, Heidi! I’ll be excited to see what you end up making in March– I’m sure if you get to either pattern they will send up looking amazing! Perfect fit! You are going to get s much wear out of this one. Thanks, Masha! I’m sure that I will be wearing it all the time come Spring and Summer! Looks great with your jeans and what a placket!! Thank you so much! I am hoping to make some nicer pants to wear with this blouse but most likely I will be wearing it with jeans or shorts.I think it will look great with a variety of different bottoms. Definitely! I think it will look great styled lots of ways! This came out really well, Teri. I still have this one on my to do list and hopefully will get around to it for summer. Thanks, Abbey! It’s such a nice pattern to sew– I hope you get to it and that you like it! Love this make, Teri! It fits you so well. I have made this blouse twice and both times didn’t end up with gathers in the front. If you figure out why please post! Thanks, Cyndi! I am glad to hear that it’s not just me without gathers in the front. I will have to try to figure it out next time I make this top! Such a pretty blouse! I love the hidden placket, but it’s such a pain I doubt I’ll ever bother with one again myself. I made this pattern last summer, but I need to go back and reshape the side seams (ugh don’t wanna unpick french seams tho) as it ended up too big. Yours looks great! Thanks, Lisa! I think I will enjoy the hidden placket more if I make this again in a solid color! I would drag my feet on unpicking the french seams, too, but I hope you get your Biscayne to be a wearable size. Hello! Really pretty fabric and style on you Teri. Thank you, Teresa! I’m so happy to hear from you– glad you’re back!